Behavior or performance issues related to saddle–caused back pain are often assumed to be training problems. 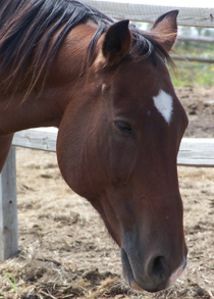 the horse is usually disciplined, trained more intensely, or sold. When, and if, saddle fit is addressed and the source of pain is removed, these training problems are quickly resolved. Joyce Harman graduated from Virginia Maryland Regional College of Veterinary Medicine and is certified in veterinary acupuncture and veterinary chiropractic. She has extensively studied how saddle construction and saddle fit affects a horse's health and performance. At first, one might think that a whole book on saddle fitting is excessive. A thorough reading of this book, however, can convince one otherwise. There are many riders who do not know what riding in balance feels like. They have never experienced the freedom of movement that a well–fitting saddle provides to both rider and horse. In fitting the horse, one must consider numerous factors. Horses vary in both size and shape. Some of this is related to the horse's breeding. Other factors are more individualistic. And saddle fit can change as a horse ages and develops. Harman points out that a saddle purchased to fit a young horse may have to be exchanged as the horse grows. A saddle custom fitted for a horse with a physical problem may have to be altered as the problem is resolved. Saddle price is generally based on the quality of the leather, since leather is its most expensive feature. In general, however, the leather is less important than the quality of the construction. The author writes about and illustrates numerous things to consider when selecting a saddle. Size, shape, design, and uniformity are all important. Harman is most experienced with "English" style saddles, but the information she presents can be very beneficial to Western riders as well. Often, pads sold to specifically cushion the withers, such as pommel pads and pads thicker in the front, can actually further compress the withers. 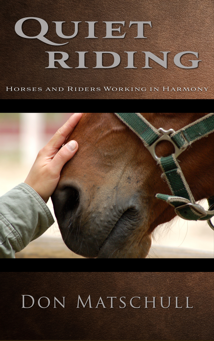 The final chapter of this book addresses other considerations in caring for a horse's back. These include various types of therapy, shoeing, and conventional veterinary practices as well as problematic horse management practices. Anybody who cares about horses should be familiar with the issues addressed in this book. Additionally, a horse that is in pain and cannot move properly can be much more costly than the proper equipment and techniques necessary to keep that horse healthy, pain free, and usable.